1,362,064 people have needed to know. Craig Coffey also uses the online ID ctc2004hpk. I suspect that Happy Promise Keeper/HPK/USS Wahoo/Craig Coffey may have resurrected on the Family Life Forum as ThunderSon. The tone is very familiar. This is not a statement of fact – it is merely a suspicion – a profoundly strong suspicion. If indeed this is Craig Coffey, he is in violation of being banned from this group twice. Now, how’s that for a godly man? Lying, deception, manipulation, bullying, disrespect for authority, etc. Makes a wonderful correlation to the deeds of the flesh, doesn’t it? We are known by our fruit – that’s what the Word says. Eph. 5:19-21 describes the deeds of the flesh. Several of them specifically describe Happy Promise Keeper/HPK/Craig Coffey’s behavior. Strong’s Exhaustive Concordance defines “railer” as — (mischief); abusive, i.e. a blackguard:–railer, reviler. Happy Promise Keeper/HPK/Craig Coffey’s behavior definitely qualifies for this definition. The Word very specifically tells us to judge a railer and to remove fellowship from such a person. Matthew 18:15-17 also offers a very specific outline of procedures to take in the process of dealing with a professing believer who offends. This specific offense has taken place in 1) a public forum, and 2) in the body of Christ at large, not in a local church body. As a result this Matt. 18 process has to be customized to the circumstances. In accordance with the Matt. 18 process, I first confronted the offender personally and politely – on several occasions. This confrontation was not in private since this is a public forum and the offense was equally public. But at this step the confrontation gave consideration to the possibility of misunderstanding and opportunity for adjustment. 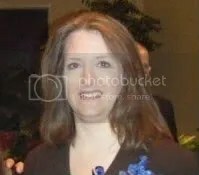 When Happy Promise Keeper/HPK/Craig Coffey refused to listen and persisted in his behavior, he was confronted by myself and two or three witnesses, who also testified to his behavior and my admonitions for him to desist from his “railing.” However, he continued in his abusive behavior and refused to desist. When he returned to my blog in direct defiance of my ban, I “took it to the church” by openly posting the entire situation in Characteristics of an Abuser. As the owner of this blog, I also put him out of fellowship here. However, it has come to my attention that he is systematically targeting a number of other online venues with the same venom. This raises serious concerns to me, because this behavior is an offense against the church body. Consequently, I am bringing this behavior to the light so that others may be aware and not deceived. On the CCC Forum, he gloats about his attacks on another thread, and invites others of like mind to join him in taunting the individuals on the site. Strive to Enter is the thread he targeted above. Another blog he has apparently targeted, and from which he has been banned as a result. Move Along — the poster USSWahoo on this thread has been identified by readers as Happy Promise Keeper/HPK/Craig Coffey, and he was reported for his behavior. If you search the site for USS Wahoo, you can find his posts on several threads. I cannot say with certainty whether USS Wahoo and Happy Promise Keeper/Craig Coffey are the same person, but the spirit of USS Wahoo is certainly consistent. Men and Domestic Violence – another Family Life Forum thread where USS Wahoo reveals his heart attitude toward women. Women With Tempers – another Family Life Forum thread started by USS Wahoo. This thread is 12 pages long, however, the commentary is very revealing. For one thing, it becomes evident that USS Wahoo is almost certainly Happy Promise Keeper/HPK/Craig Coffey in disguise. This would be a deliberate deception since it is my understanding that HPK was banned from Family Life Forum blogs for his behavior. I also found it interesting that when confronted with direct questions, USS Wahoo refuses to answer and consistently says he “refuses to engage” or is using “boundaries.” However, on this site, if you read his comments, when I refused to engage – after directly and repeatedly identifying his aggressive and abusive behavior – he became personally insulting and began to ascribe my choices in derogatory terms, implying a distinct lack of substance, guilt, shame, and lack of spiritual understanding because I chose not to stoop to his terms. I deleted a couple of his comments in this vein, but have saved most of them even though I didn’t allow them to remain on my site. Another thing that is very visible here about USS Wahoo is his attitude toward women. When he called Mrs. HPK “the little lady” I was amazed. This is such an overtly demeaning term. It is also indicated in this thread that USS Wahoo started the thread after attempting to hijack another thread started by a woman in need of help with her marriage. Wahoo apparently tried to turn the discussion into a gender war, completely ignoring the very real need of the original poster for real help with a real situation. Also, when confronted with the clues in his dialog that strongly indicated USS Wahoo was in fact HPK, he did not deny it. If it wasn’t true, why not set the record straight? Who would want to be falsely misidentified with a banned user? But to say it wasn’t true would be an overt lie – something I guess he either wouldn’t do, or couldn’t do without revealing his nature to his wife, who was either also on the thread or he was using her ID to respond to himself. However, the fact is, a lie of commission is no different than a deliberate lie of ommission. They are both deception, and come straight from the Father of Lies. Record of Happy Promise Keeper’s Posts after Banning is simply his posts after being banned, and my commentary on them. If anyone else has had similar experiences with this individual, please let me know so I can add any related links. According to a Matthew 18 model, I believe this should be “taken to the church” – and this is the only way to accomplish this function in an open, global, forum. This individual’s attacks on a wide spectrum of blogs is persistent and wide-spread. At the very least, I believe we should establish a record for the benefit of any others he may target in a similar manner. It is not my intention to be mean-spirited – I am concerned with righteousness, however. And this party is very deliberately assaulting the character, integrity and work of those he targets. This is intolerable and a direct violation of the Word. Just because we are not all in a single local church together does not mean he should be allowed to continue these activities with impunity. E-mail me — If you have information you wish to contribute to this public record. I am not publishing this page to the front of my site, but it will be available in my pages for anyone who wants to find it. I am also not publishing anything except what is publically available for view online and factual documentation. I will also point out the details and implications of his statements in order to make them clear to anyone who may not be able to see their significance. This isn’t about a smear campaign – it is about exposing Happy Promise Keeper/HPK/Craig Coffey’s behavior as openly documentable. CalvinHobbs is being called out on Family Life – after being banned a number of times it sounds like. They are saying he is the same person. Totally unsurprising. If CalvinHobbs is Craig Coffey he is once again demonstrating his blatant disregard for authority. If the abusive spirit controlling this isn’t utterly obvious to everyone I can’t imagine why not.